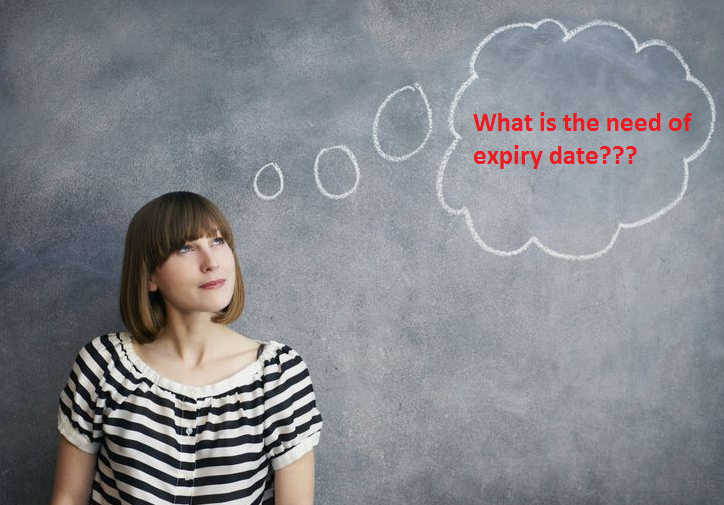 People often have queries regarding expiry dates or shelf life; be it food, medicines / drug etc. In this article, we will be discussing about the expiry date of eye drops. Can I use unopened but expired eye drops? Is it safe to use eye drops if it has reached the expiration date? For most of them, these queries arise in their mind because some eye drops can be expensive and it is costly to replace the expired but unopened eye drops. Continue reading this article to know more! Happy reading! The eye is one of the most important organs; hence it is necessary to take proper care. Using anything and everything on this sensitive organ can lead to permanent damage; one can also lose the vision because of negligence. Always be attentive when using any product or medicine on your eyes. Never use an expired product; it can put you in danger. Every medicine has an expiry date printed on them; even the eye drops have one. It is always better to use the eye drop before the expiration date. It is always better to be safe than sorry, right? Always use the eye drops how it is prescribed. After some time, eye drops will lose its potency, the chemical composition also might change, there are chances of contamination and over time it may also have bacterial growth. Bacterial growth: if the dropper touches the eyeball, eyelashes, eyelid, or the skin around the eyes then bacterial can spread from these areas to the dropper. As a result, the entire eye drop solution can be filled with bacteria. Change in chemical composition: after the expiry date, the composition of medicine changes and the effectiveness of the product are lost. The medicine becomes unstable and can result in eye irritation. Because of all these reasons, it is better to discard the eye drops after they expire. If you use an expired or contaminated eye drops, it may lead to itching, inflammation, and also swelling. Can I use expired eye drops ? NO, you should not be using eye drops after expiration date; because it can cause inflammation, itching, and swelling. Can I use expired eye drops? Once the eye drops expires, it can degrade to form harmful compounds; and these harmful compounds can cause serious damage to eyes. Hence it is advised not to use expired eye drops. Are they any other precautions to be taken to use eye drops apart from not using the expired one? Yes, there are.Read the below mentioned points to know more. Eye drops should be stored with care. Do not expose the eye drops to air, heat, and moisture. If the eye drops are not stored carefully, then the efficiency is lost. Hence store it in a cool and dry place. Avoid the contact of dropper tip to any other surface; because, if it comes in contact with bacterial surface than bacteria will start growing on it. If the eye drops are least used, but if it has touched an infected eye, skin around the infected eye or finger tip; then it is better to discard them. If the eye drop is stored in a plastic container, then exposure to extreme heat can lead to mixing of plastic with the eye drop solution. So avoid storing it in high heat (inside the vehicle, extreme climatic condition etc). Always make it a rule to follow the above mentioned points to be safe. Do eye drops go bad? What is the need of expiry date in eye drops or any drug? The purpose of the expiration date in eye drops is to highlight the safety. It will meet the required standards of purity and quality before the expiry date. The expiry date will also tell that the drug is safe and sterile till the expiration date. Hence DO NOT use any kind of eye drops past its expiration date. Is it safe to use expired eye drops ? NO, it is not safe to use expired eye drops. The risk includes how much time has been passed since the eye drops are expired. So never use an expired eye drop. If the eye drop is opened and is contaminated with bacteria, then the risk of severe eye infection is more. So always store the eye drops in a cool and dry place; and also make sure to discard it once it reaches its expiration date. Do unopened eye drops expire ? Yes, unopened eye drops do expire. Once the eye drops reach expiration date, even if the bottle is unopened it expires. Do not take any risk, just discard it and buy a new one. What to do if you end up using expired eye drops ? If you mistakenly end up using an eye drop which is expired, then immediately wash your eyes thoroughly with cold water; do not rub your eyes. If there is redness or irritation, then consult an ophthalmologist (eye specialist) without any delay. Never take any chance, check the expiry date which is stamped on the package or at the bottom of the eye drop bottle. Never ever keep them beyond expiry date; just discard the medicine if it is expired. Make it a rule to check the label for expiry date before using them. DO NOT use expired eye drops and suffer. Stay safe!